Det er konkludert med overbevisende dokumentasjon (evidens grad en) for at vegetarisk kosthold reduserer risiko for å dø av hjerteinfarkt. 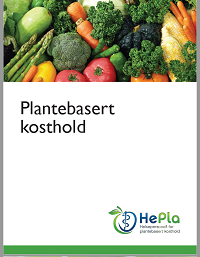 Plantebaserte kostholdsmønstre kan redusere risiko for livsstilssykdommer som diabetes type 2, hjerte- og karsykdommer, overvekt og fedme, og flere typer kreft. Mange studier tyder på at plantebasert kost bidrar til økt livslengde og reduserer risikoen for tidlig død fra flere sykdommer. Baljit Kaur, klinisk ernæringsfysiolog, M.Sc. Helsefordeler og utfordringer ved vegankoster Norsk tidsskrift for ernæring (NTFE). «A healthy vegan diet has many health benefits including lower rates of obesity, heart disease, high blood pressure, high blood cholesterol, type 2 diabetes and certain types of cancer. Nordic Nutrition Recommendations 2012: Integrating nutrition and physical activity. Nordiska ministerrådet, Nordisk Ministerråds sekretariat, 2014. Fraser GE. Vegetarian diets: What do we know of their effects on common chronic diseases? Am J Clin Nutr. 2009;89(5):1607S-12S. Appleby PN, Thorogood M, Mann JI, Key TJ. The Oxford Vegetarian Study: an overview. Am J Clin Nutr. 1999;70:525S–531S. Yessenia Tantamango-Bartley, Karen Jaceldo-Siegl,Jing Fan, and Gary Fraser: Vegetarian Diets and the Incidence of Cancer in a Low-risk Population 2013. Cancer Epidemiol Biomarkers Prev; 22(2); 286–94. ©2012 AACR. Key TJ, Appleby PN, Crowe FL, Bradbury KE, Schmidt JA, Travis RC. Cancer in British vegetarians: updated analyses of 4998 incident cancers in a cohort of 32,491 meat eaters, 8612 fish eaters, 18,298 vegetarians, and 2246 vegans. Am J Clin Nutr. 2014 Jul;100 Suppl 1:378S-85S. doi: 10.3945/ajcn.113.071266. Epub 2014 Jun 4. Pettersen BJ, Anousheh R, Fan J, et al. Vegetarian diets and blood pressure among white subjects: results from the Adventist Health Study-2 (AHS-2). Public Health Nutr. 2012;10:1-8. Szeto YT, Kwok TC, Benzie IF. Effects of a long-term vegetarian diet on biomarkers of antioxidant status and cardiovascular disease risk. Nutrition. 2004;20:863–6. eaters, fish eaters, vegetarians and vegans in EPIC-Oxford. Public Health Nutr. 2002 Oct;5(5):645-54. PubMed PMID: 12372158. Rizzo NS, Sabaté J, Jaceldo-Siegl K, et al. Vegetarian dietary patterns are associated with a lower risk of metabolic syndrome: the adventist health study 2. Diabetes Care. 2011;34(5):1225-7. Michael J. Orlich; Pramil N Singh; Joan Sabaté; Karen Jaceldo-Siegl; Jing Fan; Synnove Knutsen; W. Lawrence Beeson; Gary E. Fraser: Vegetarian Dietary Patterns and Mortality in Adventist Health Study 2. JAMA Intern Med. 2013;173(13):1230-1238. doi:10.1001/jamainternmed.2013.6473. Preventing Osteoporosis: Building Strong Bones Over a Lifetime. Reed Mangels, PhD, RD. Vegetarian Journal 2005 Issue 2 Full Text This article explains what osteoporosis is and what vegans can to at every age to reduce their risk of developing it.